Each year in June the Lower Manhattan Cultural Council hosts a multiple-day arts festival featuring free dance, music, theater, and visual arts events at an assortment Lower Manhattan and Governors Island venues. River To River seeks to provide world-class free summer entertainment and to inspire residents, workers and visitors in the neighborhoods south of Chambers Street and at Governors Island by connecting them to the best of the arts, the creative process, unique places and each other. Night at the Museums, which provides free admission to Lower Manhattan museums and cultural sites, is also part of the River to River Festival. The dates for the 2017 River to River Festival is June 14 – 25 and includes over 100 performances and events. Visit the Lower Manhattan Cultural Council website for more information, including a full calendar of events. 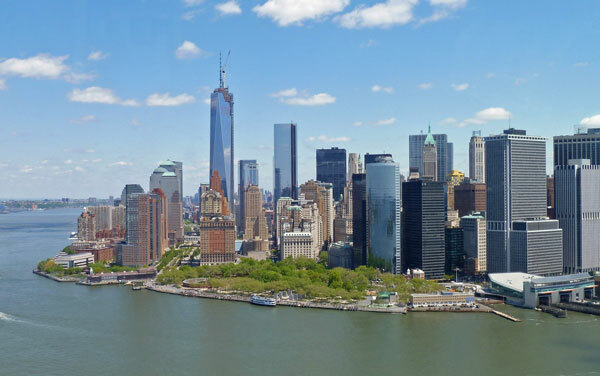 River to River Festival venues are located in Lower Manhattan and Governors Island. 2017 venues include 28 Liberty Plaza, 192 Front Street, Winter Garden at Brookfield Place, City Hall Park, Federal Hall, Fulton Center, National Museum of the American Indian, Pier A Harbor House, South Street Seaport Museum, and Governors Island. Event venues may change from year-to-year.